The intended audience for this activity is endocrinologists, primary care physicians, nurse practitioners, physician assistants and other healthcare professionals involved in the treatment of patients with Type 2 Diabetes Mellitus (T2DM). Compare oral, insulin-, and incretin-based therapies in terms of their safety, efficacy, and tolerability. Individualize treatment by appropriately selecting, initiating and intensifying treatment with insulin and incretin-based therapies to achieve A1C goals in specific patients. Treat T2DM aggressively using insulin-based therapy, and recognize and accommodate cultural differences among patients to better assist them in overcoming barriers to self management. Vindico Medical Education is accredited by the Accreditation Council for Continuing Medical Education to provide continuing medical education for physicians. Vindico Medical Education designates this enduring material for a maximum of 0.25 AMA PRA Category 1 Credit(s)™. Physicians should claim only the credit commensurate with the extent of their participation in the activity. This enduring material is approved for 1 year from the date of original release: September 9, 2013 to September 8, 2014. Questions regarding this CME activity? Please email CME@VindicoMedEd.com. To participate in this CME activity, you must read the objectives, answer the pretest questions, read the articles, complete the CME posttest, and complete and return the registration form and evaluation. Provide only one (1) correct answer for each question. A satisfactory score is defined as answering 66% of the posttest questions correctly. Upon receipt of the completed materials, if a satisfactory score on the posttest is achieved, Vindico Medical Education will issue an AMA PRA Category 1 Credit(s)™ Certificate. In accordance with the Accreditation Council for Continuing Medical Education’s Standards for Commercial Support, all CME providers are required to disclose to the activity audience the relevant financial relationships of the planners, teachers, and authors involved in the development of CME content. An individual has a relevant financial relationship if he or she has a financial relationship in any amount occurring in the last 12 months with a commercial interest whose products or services are discussed in the CME activity content over which the individual has control. Relationship information appears on this page. The authors disclose that they do have significant financial interests in any products or class of products discussed directly or indirectly in this activity, including research support. Medical Director, Maya Mehta, MD, MBA and production staff of BetterCME have nothing to disclose. 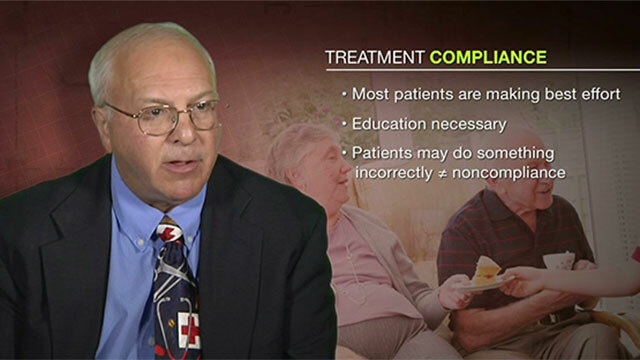 © 2013 Created and published by Vindico Medical Education, 6900 Grove Road, Building 100, Thorofare, NJ 08086-9447. Telephone: 856-994-9400; Fax: 856-384-6680. Printed in the USA. Copyright © 2013 Vindico Medical Education. All rights reserved. No part of this publication may be reproduced without written permission from the publisher. The material presented at or in any of Vindico Medical Education continuing medical education activities does not necessarily reflect the views and opinions of Vindico Medical Education. Neither Vindico Medical Education nor the faculty endorse or recommend any techniques, commercial products, or manufacturers. The faculty/authors may discuss the use of materials and/or products that have not yet been approved by the US Food and Drug Administration. All readers and continuing education participants should verify all information before treating patients or utilizing any product.